the classic war machine to test you great conqueror’s skill. 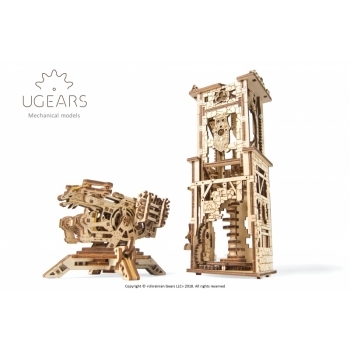 the actual ballista – shoots wood bolts. 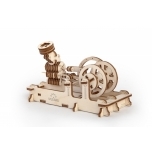 The firing mechanism can shoot up to three bolts in a round. 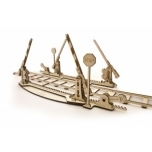 Traverse and elevation mechanism enables the ballista to be set at the required angle in horizontal and vertical planes to ensure the best aim. bolt at the target when the aiming is set. 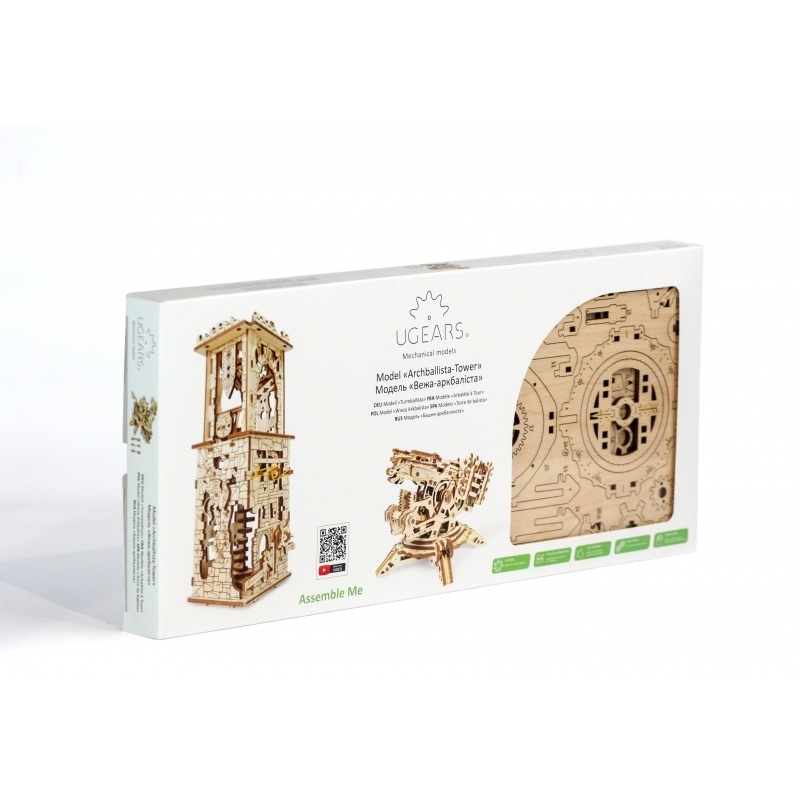 observe and enjoy the work of the gears, inner frame and the complete clever mechanism. times, so we do encourage you to take your heirs on this journey. 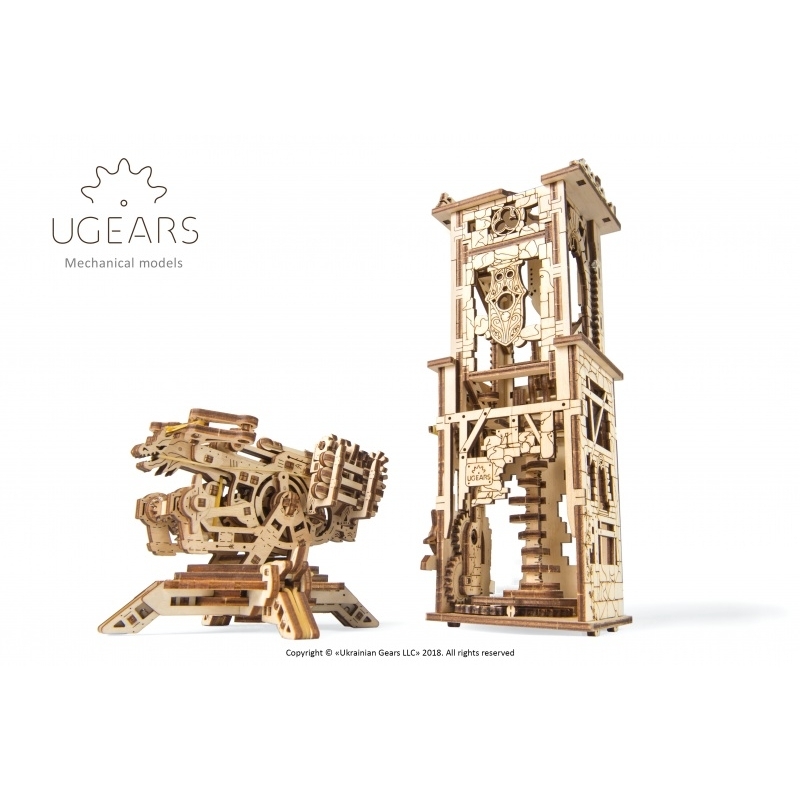 Ugears Ballista and Tower model.